"It feels like signing with Impulse has given validity to the way I've perceived my music act. It is a legitimate part of the jazz canon"
We meet up with jazz superforce Shabaka Hutchings in Utrecht during Transition Festival and in London at the Worldwide FM studios and a Steam Down session. Here, we discuss Shabaka's signing with the acclaimed Impulse! label, album themes, his curated program at Le Guess Who? 2018, and music as joyous celebration. 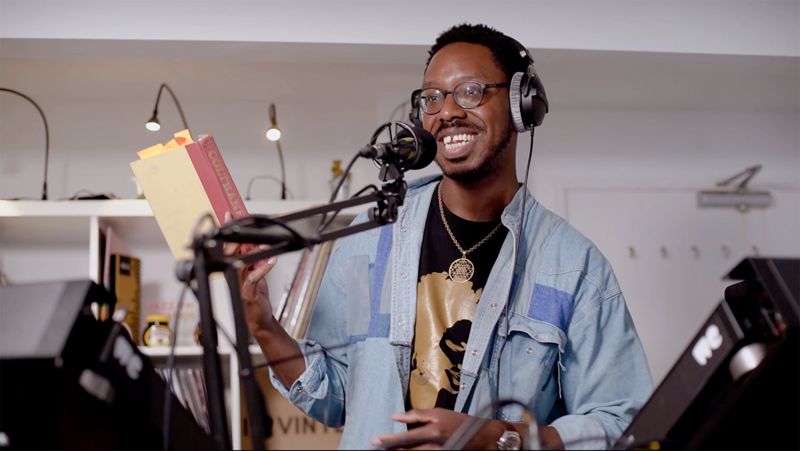 Shabaka discusses two artists he has curated for Le Guess Who? 2018: Indian Carnatic music pioneer Kadri Gopalnath, who has spent a lifetime integrating the saxophone in the Indian classical genre; and South Africa’s Sibusile Xaba. Equal parts acoustic guitar visionary and urban mythologist, Xaba creates a blend of African folk, flamenco and jazz, supported by expressive fingerpicking. "The lesson Sibusile Xaba has taught me is that music is supposed to be about joy, rather than fun. It's supposed to be a joyous celebration." Shabaka Hutchings’ curated program at Le Guess Who? features Sons of Kemet XL, Kadri Gopalnath, Kojey Radical, BCUC, Bo Ningen, Sibusile Xaba, King Ayisoba, Orchestra of Spheres, The Comet is Coming, Hello Skinny, DJ Noss, STUFF., Ill Considered, and Paddy Steer.